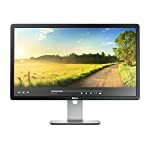 The HP Z24n is a 19:10 ratio monitor, if you aren’t familiar with screen formats, this means it is slightly more square compared to the standard widescreens you’ll be familiar with. Some seem to think this is a niche offering but all this really means is you have a little extra space along the bottom, so instead of the normal 1080p HD you get 1200p, that’s an extra 120 lines of pixels to play with, just the right size to accommodate the Windows task bar perhaps. I actually have a 1200p monitor myself, a Dell, and can recommend this format. I don’t really see any downside and I prefer squarer monitors for some strange reason, perhaps because I grew up with square CRT screen. Really it’s just a normal monitor with a little extra space at the bottom, everything still looks great. There are older versions of this model, for example the HP Z24i which at the time of writing can be bought for slightly less than the model discussed here. The HP has slim side bezels and is marketed at those who might be looking for a multi screen display. 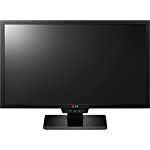 In fact 16:10 format monitors are often used in commercial settings so this makes sense, although there is of course no reason you couldn’t run one of these in your home office. The stand offers tilt, height adjustment, swivel, and pivot settings as you’d hope, this isn’t a budget monitor after all. If you prefer not to use the included stand then there is a VESA 100 x 100 fixing according to product listings. Connectivity gets a big tick, you can hook up your PC with any of the following: MHL, HDMI, DVI, DisplayPort, or Mini-DisplayPort. If you can’t hook up your computer with one of these then it really is time to upgrade your graphics card! 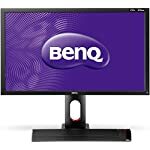 The IPS panel makes this suitable for graphical work and actually HP supply this as factory-calibrated to 99% sRGB color gamut for “reliable” and “accurate” colour reproduction! This technology also provides decent colour accuracy across varied viewing angles unlike the common, cheaper TN panel type. The 8 ms grey to grey response time is also typical and not the fasted out there, but remember this is really targeted at application work rather than gaming. 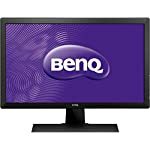 I’ve not been able to find any good feedback on whether this monitor is good for the casual gamer – do let us know if you have any information to add. We give the HP Z24n a 3.5 out of 5 rating. Want to know what existing owners of the monitor think? You can read real user reviews here. Should I buy the HP Z24n?